Anything that has a unique concept, whether it be science fiction or fantasy, is a soft spot of mine, especially as it is interesting to see how it will be executed as the show goes along. Sometimes, the main concept is just a convenient plot device or falls short of expectations, and sometimes, they manage to pull it off seamlessly. Such is the case with tvN’s 2017 drama “Chicago Typewriter”, which, although not perfect is a well crafted story with a well executed unique concept with powerful performances from the cast. Aside from this, it is a unique story about love and friendship that also reminds us that the liberties and freedoms we know enjoy today, no matter where you are from, were fought hard for by our ancestors. “Chicago Typewriter” aired for sixteen episodes from April 7 to June 3, 2017 on tvN. It was directed by Kim Cheol Kyu (“Mother”, “Emergency Couple”) and was written by Jin Soo Wan (“Kill Me, Heal Me”, “The Moon Embracing the Sun”, “Scandal in Old Seoul”, “My 19 Year Old Sister-In-Law”, “School 4”, and “Snow Flower”). Unfortunately, it didn’t enjoy great ratings while it was airing, but after watching it, it is, for me, another underrated gem that is a must watch among the dramas that aired in 2017. Part of this, I think, was the fact that it wasn’t marketed well while it was airing. The drama follows Han Se Ju (Yoo Ah In), a world famous writer who falls into a slump or a series case of writer’s block, after a traumatizing incident occurs, and after he comes into possession of a mysterious typewriter that somehow has ties to his past life. 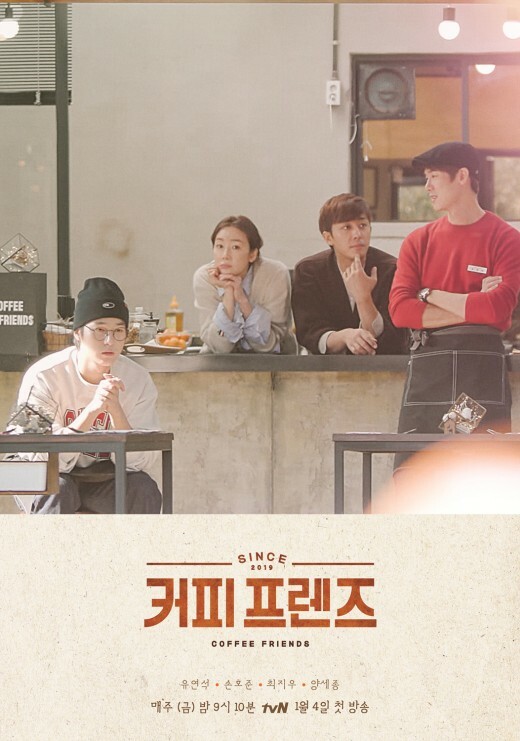 Soon afterwards, he meets Jeon Seol (Im Soo Jung), and a mysterious ghostwriter named Yoo Jin Oh (Go Kyung Pyo), who also seemingly have a connection to him and the typewriter. The rest of the drama shows Se Ju and Jeon Seol learning of their past lives, of which they are beginning to have memories of, and the show darts back and forth from the present to the 1930’s, as they try to navigate their own lives and grow as their own selves. I know that this general synopsis doesn’t really show how unique, great and haunting this show is, but trust me on this and stick with it, because it is a slow burn, but everything pays off beautifully in the end. This drama also happens to be my second foray into any historical time period in a Korean drama, with the first being “Life on Mars”, which is set in the ’80s. And among the time periods, this show picked a hauntingly familiar and very interesting time period- the 1930s , which was when Korea was occupied by Japanese forces. The storytelling and direction, weaving through the lives of our characters in present day and their past selves in the ’30s was masterfully done, and it was worth watching all the way until the end. It was a slow burn, but paid off well, with no detail left uncovered; and the show also masterfully managed to be able to tug at all sorts of emotions, even in just one episodes. There were moments that were a little bit uneven, as everything happening in the past was more interesting than what was happening in present day, and sometimes the character development got a little bit rushed.However, it was wonderful how our main characters in present day, especially Se Ju and Jeon Seol, were able to come to the realization that their fates aren’t set in stone, and that they can forge their own destinies while looking at the past for guidance. Another thing that set the show apart from others was the fact that even though there were predictable moments, there were a lot of unpredictable moments, all the way until the end. Yoo Ah In, Im Soo Jung and Go Kyung Pyo gave such great and strong performances as their characters, especially when juxtaposing their past iterations to the ones in present day. Also, this show has a brilliant opening sequence, that was impossible for me to just skip over. “Chicago Typewriter” is a hauntingly beautiful well made drama with strong performances and great-storytelling that is a slow burn, and can be uneven, but is probably one of the most unique Korean dramas I’ve seen. If you are a fan of Korean dramas or history, this one is definitely a good watch for you. To date, “Chicago Typewriter” has some of the best plot twists in recent years. It was great to see how many other viewers called it out right away that the ghostwriter Yoo Jin Oh was literally a ghost; but what made it even better was the fact that the entire drama, isn’t primarily Se Ju’s and Jeon Seol’s story, like we were meant to think, but it is, in fact, Jin Oh’s story, which is why the show is called “Chicago Typewriter”. If you’ve already seen the show (which you should have, as you are reading the spoilers section now), you would know that the typewriter had been a gift from Shin Yul (Go Kyung Pyo) to Se Ju’s past iteration, Seo Hwi Young. Aside from this, the nickname “Chicago Typewriter”, was also the nickname given to the submachine gun that Jeon Seol’s past iteration, a fearless sniper and a club singer named Ryu Soo Hyun, once used. All three of them, in the past, were members of the Joseon Youth Alliance, a resistance group against the Japanese occupation at the time. Soo Hyun was one of their best snipers, Hwi Young was the group’s leader and a writer, and Shin Yul was the owner of the club that the group headquartered at and was the one who represented Hwi Young in all of the group’s secret meetings. The ’30s part of the show, which are shown mostly in dream flashbacks or through the web novel that Jin Oh and Se Ju wrote together throughout the show, piece by piece. At the same time, in the present, Se Ju and Jeon Seol try to come to grips with their past lives, and try to figure out how they should live if history is meant to repeat itself. Especially as they realize that the people who are closest to them also had a hand in their tragic deaths. In fact, the club madam or manager became Jeon Seol’s mother in the present; and Heo Young Min (Kwak Si Yang), a Korean spy for the Japanese who had a hand in the trio’s tragic fate, ended up as a rival writer’s of Se Ju’s named Baek Tae Min, who plagiarized Se Ju’s work for his debut novel. In the end, we end up learning that Soo Hyun had been raised by both Hwi Young and Yul, after her father, a member of their group, had been killed, and that when she grew up, both Yul and Hwi Young developed feelings for her. Feelings between Hwi Young and Soo Hyun did develop, however, they put that aside as there was no room for love in a time like that. Soo Hyun ended up getting captured after a huge mission, after which Yul, whose family was a prominent member of society back then, tried to turn himself over as the head of the movement. However, Young Min called his bluff and tortured Soo Hyun in front of him, causing him to cave and give Hwi Young’s name and location. During the manhunt for him, Hwi Young killed himself rather than be captured by them, dying as he remembered his promise to recognize Soo Hyun first and love her freely in the next life. After everything had blown over, Soo Hyun got revenge by killing the club madam, Young Min and Japanese officials now at their club, and Yul, who ordered her to kill him as per the movements rules, which caused him to die holding Hwi Young’s watch and on the typewriter he bought for his best friend. He then apparently sealed himself in the typewriter, and in the end, realized that without knowing it, he had fulfilled what he wanted to do in order to finally rest in peace- get their forgiveness, and write that novel with his best friend. So, somewhere towards the end of the drama, you end up realizing that this whole drama was really about Yul’s/Jin Oh’s journey to seek redemption by fulfilling the promises he had made. Aside from this, he also held up to his promise to make sure that Hwi Young and Jeon Seol end up happily together. Go Kyung Pyo was just fantastic in both iterations of himself. I also love the bromance and friendship that occurred in both the past and in the present. As for Se Ju, I do admit that his personality had too much of an abrupt change in character at a certain point, but I did like how he changed from someone who didn’t trust in anyone, to slowly letting people into his life and him caring for them as well. I also found it interesting that since Hwi Young had forgiven Yul before he died, he was the one who had an easier time letting go of the past, and forge his own destiny, while still keeping in mind what happened in his own personal past and in his past life, but without being too overburdened by it. I also like the fact that Se Ju went through a self-discovery journey of his own as an artist. Years of writing like a factory to cater to what his fans and the public want will really drain your creative juices, so it was wonderful to see him figure out what he really wants to write, and actually doing it in the process. Yoo Ah In was just great in both iterations, because, although you can see the similarities in their characters, there is also a unique distinction that he brings to both of them. On the other hand, we have Jeon Seol, who ended up running away from what she can do because she was burdened by her past life. In the end, it makes sense that she was even more burdened than Jin Oh/Yul and Se Ju, as Soo Hyun knew that she killed her almost father figure, mentor, older brother and protector, because she was consumed by her anger and emotions, which is why Seol stated that holding that watch made her feel a lot of sadness and guilt. In the end, she was able to get the closure that she needed by facing her fears of the knowledge of the past and talking to Jin Oh/Yul about it. I particularly liked Seol’s relationship with Hwi Young as they were both refreshingly honest with each other, and his view on their past life and how to handle it is exactly the push she needed to get over it. Im Soo Jung was great, and although some people got a bit worried about her performance, she banished all doubts during those crucial moments in particular scenes in the 1930s. I loved the ending that this drama was given, with Yul, who is at peace, living on within the pages of Se Ju’s novel about them, living happily with the new fictional but accurate representations of his best friends. With regards to Tae Min, I hope that that character does learn from his mistakes and turn over a new leaf, which is why I loved that his character’s ending was open-ended. However, Kwak Si Yang did nail being the nefarious Young Min, and the annoying brat that Tae Min was. Special mention also has to go to Yang Jin Sung, Jeon Soo Kyung, Kang Hong Suk, and Jo Woo Jin, who expertly nailed their characters as well. The show was minutely detailed, such as the fact that Se Ju’s writing room was their old headquarters at Carpe Diem; and the production, especially everything in the ’30s, was well done. True, the story was sometimes unevenly told, but it wove a wonderful timeless tale about letting ourselves not be defined by the past or past mistakes; and at the same time, reminded us that we should not waste the liberties and freedoms that we know can enjoy as it was fought hard for by our ancestors, no matter what country you are from. “Chicago Typewriter” is definitely an underrated wonderful gem that pulls off a unique concept so seamlessly, and that never ceases to surprise until the very end. Have you seen “Chicago Typewriter”? What did you think of it? Let me know what you think in the comments below!